If you use Constant Contact's email marketing service for your business, embedding a signup form on your LiveEdit website is as easy as 1...2...3! Just build the html form in Constant Contact, generate an Embed code and drop it into your LiveEdit website! 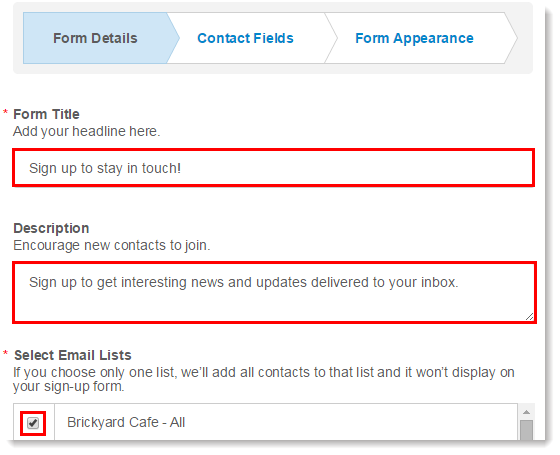 First, build a form in Constant Contact! 1. Log in to your Constant Contact account. Click Contacts and then "Sign-Up Tools." 2. Click on the form's name to edit, or to create a new form, click "Create a Sign-Up Form." 4. 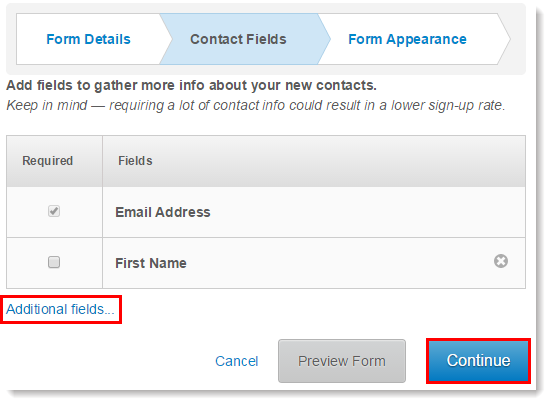 Use the Form Details, Contact Fields and Form Appearance dashboards to style the fields, colors, fonts, and text of your form. After you have built the form, you can generate the HTML code to add to your LiveEdit website. That way, your website visitors can sign up for your email list without leaving your site! 2. 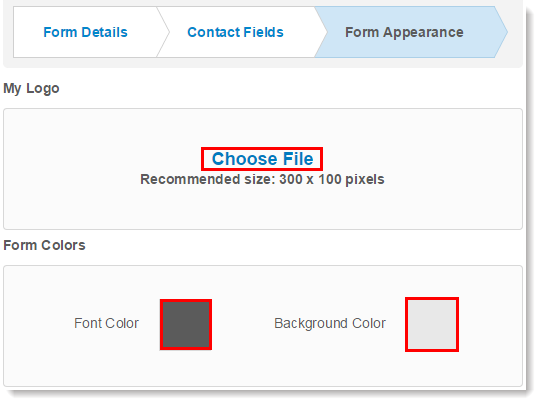 Click Preview Form to see how the form will display. You can always go back and edit the form. 3. Copy the HTML from the box. 4. Paste the HTML code from Constant Contact and click Save Changes. Note: The styling of this button is handled within the Constant Contact platform. To make changes to the colors, fonts, fields, and copy, please log into Constant Contact and generate a new code with those settings and follow the process to drop in a new HTML element. 3rd party code cannot be customized via your LiveEdit platform. As such, any questions relating to code from 3rd party services should be directed to their support. LiveEdit and ASTG are unable to assist in the customization of plugins.